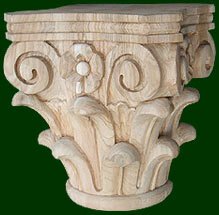 Capitals and Keys-Custom Hand Crafted and wood carved in your choice of wood:Cherry, Oak, Ash, Pine, Mohagany and more"
Michael Shea Woodcarving manufactures a wide selections of wood carved capitals, columns and wood carved keys. 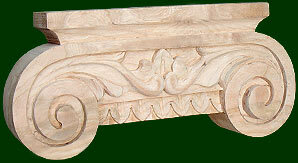 Our styles included carved Corinthian capitals, carved ionic capitals as well as many wood carved keys for above doors and windows. 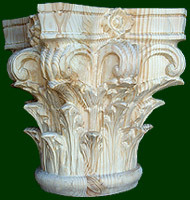 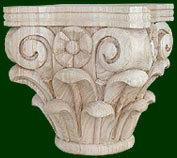 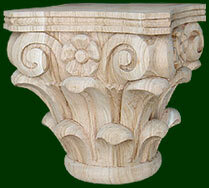 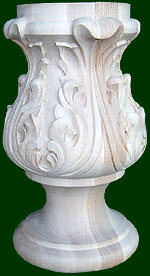 Our Corinthian and ionic capitals are used mostly for ornamental applications for home construction, but we also sell many carved ionic and Corinthian capitals for bar and entertainment centers.